Founded in 1982 by Paul Woodwright, Deviant Amps are a pillar in the world of space rock and an anchor in the vital UK independent festival scene. While the band has had many fine players come and go over the years, the current lineup of Woodwright on vocals, guitar, glissando guitar, and synth; Subs playing bass and Japanese plum bottleneck glissando; and Keith Chenery playing drums has been performing since 2015. 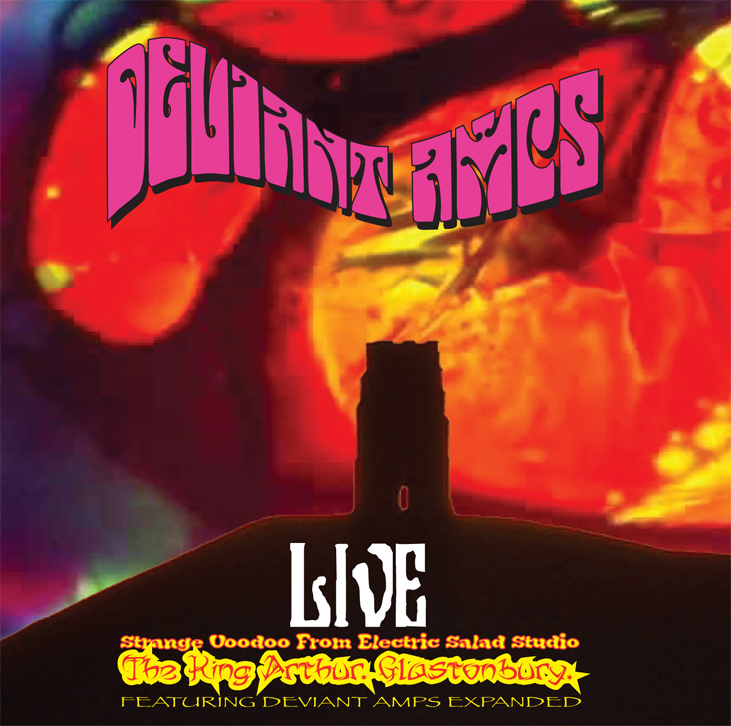 Their most recent outing, Live at The King Arthur – Glastonbury, is a double CD package that features the core trio on the first disc. The second disc features an ‘expanded’ version of the band, with added Amps family members Laura Neill playing saxophone, Andy Roger and Cary Grace playing synths, and Dani Speakman playing guitar. The music begins with “Here Come The Change,” from the 2016 release Strange Voodoo from Electric Salad Studio Volume 1. The trio powers through this tune as though they were laying the groundwork for things to come. It is followed by “Star And The Moon” and the spiritually inclined “Can’t Reach The Floor.” On “Holding A Dream,” Woodright laments over the soulful groove laid down by Subs and Chenery, “Holding a dream you can’t feel…as the ancient sea welcomes you home.” Andy Roger joins the band playing synth on “In The Here And Now,” complementing the heavy psychedelic groove with cascades of tonal color that build in intensity over guitar distortions and feedback. On the 11 plus minute “Black Hole,” the tune begins with feedback played out of time complimented by saxophone and synth undertones. As a slow groove starts, the cascading synths become more intense, and Dani Speakman plays off of Laura Neill’s saxophone with guitar feedback and delay. 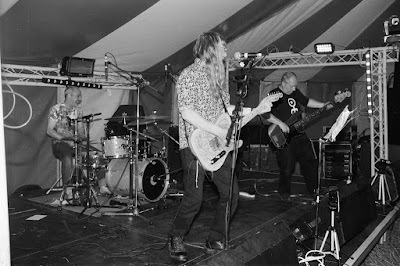 The two synth players and guitarists underscore Neill with waves of feedback and sound, an exercise in experimental noise and chaos that finally coalesces into a single tonal musical form as the song gradually crescendos then draws to a close. The vocals on much of this album are laden in reverb, which adds to the transcendent nature of the lyrics. Anyone who has experienced Deviant Amps performing live can attest that this band delivers. Adding old and new family members brings forth the depth and power of their music, something that this band has achieved through many years of hard work, festivalizing, and deep space musical explorations.